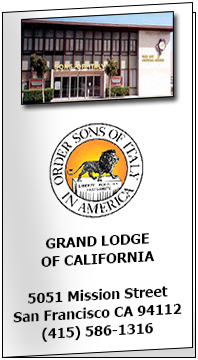 Established in 1922, the Grand Lodge of California, Order Sons of Italy in America, moved to its present location in San Francisco in 1952. 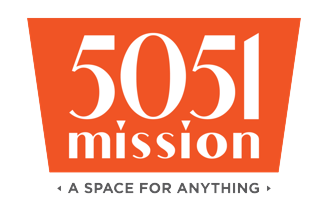 The stately structure, located at 5051 Mission Street (one block east of Geneva Avenue) is two storied. The second story houses the general offices, a historical exhibit of our Order, plus a meeting room with a capacity of fifty persons each, kitchenette and restrooms. Give us a call to arrange a time to come by! What Does Italian Heritage Mean? For some, our Italian-American heritage is expressed in the way we cook traditional holiday meals, celebrate religious traditions, or relate to family and friends. Some speak Italian and travel to Italy regularly, others were raised in traditional Italian neighborhoods. Most share in the beauty of Italy's countless contributions to music and the arts. 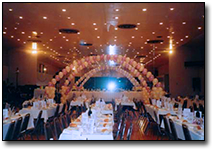 The beautiful Hall of Mirrors, which seats three hundred-fifty guests, dominates the first floor. A personal dressing room, large restrooms and a spacious handicapped comfort area are included. A well-equipped kitchen, a large bar area and cocktail seating area are also available. 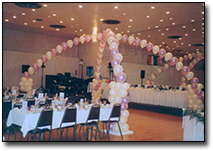 An award-winning caterer, offering well balanced and delicious entrees, is available, as well as various musical groups for our guests’ dancing pleasure. There is ample parking. Valet parking is also available, upon request. 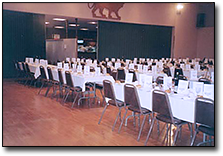 The Order Sons of Italy’s Hall of Mirrors is a customer satisfying venue available for your banquets and meeting needs.